Perfect for getting the bride to the church on time! Our black London Cab is a Fairway Driver from 1993. It was owned by Austin’s Dad, who had it from new. Having been lovingly restored to immaculate condition, it was a natural progression for this vehicle to join our heritage fleet. Having a London Fairway Driver with one owner from new is practically unheard of. The London Cab is ideal for taking the bride, father of the bride and bridesmaids to the church, or is a lovely way for a small group to arrive at a party or prom in style. 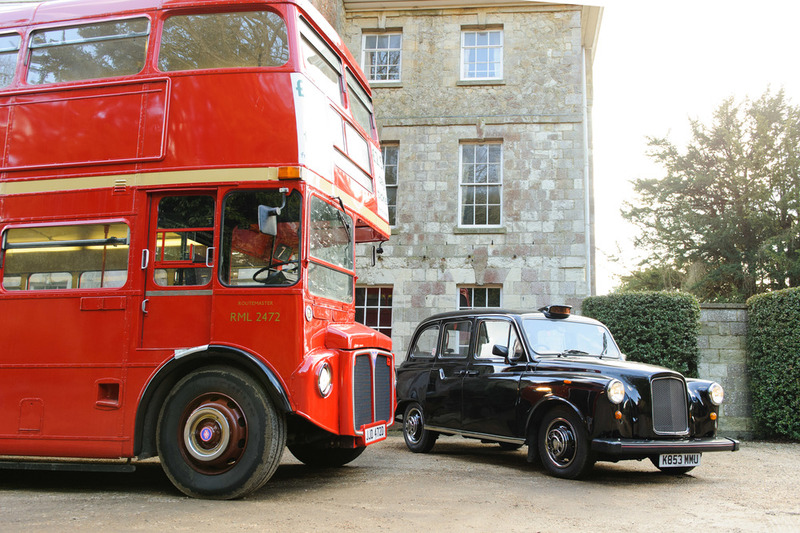 Interested in hiring a vintage London Route Master bus for your wedding or party in Kent? Get in touch and we’ll take things from there. The Vintage Bus Company are owned by Kent’s largest independent bus operator. With our beautiful fleet of immaculately restored heritage vehicles, we’re here to provide an unforgettabe experience for your wedding, party, prom or corporate event in Sevenoaks or West Kent.